Mobile is now the largest online advertising opportunity, with mobile ads increasing 76% in 2014, making digital advertising a $50 billion business. This is a 16% increase over 2013 revenue. More business owners are now starting to understand how powerful mobile advertising can be, and the business owners that are doing it correctly are seeing mobile traffic deliver a much higher conversion rate. The increase in mobile ad spending also means that the competition has increased, making it very important that you run a highly optimized PPC campaign it order to lower costs, increase conversions and deliver a solid ROI. Here are a few things to consider when creating a pay per click campaign targeting a mobile audience. Take full advantage of extensions: site, call, and location. AdWords call extensions are a way to grab the attention of a prospect quicker, and capture that click. Call out extensions allow you to highlight a specific feature or special, location extensions allow you to highlight a specific location, and call extensions allow you to attract a direct phone call. Extensions allow you to help your prospects find and connect with your business easier. For example, a retail store might want to include a “directions” extension, which would allow someone interested in visiting their store to quickly get directions. You can also allow a prospect to learn more about your business through an “About Us” extension, or quickly obtain the contact information for your business through a “Contact” extension. If you are not currently running extensions in your PPC campaigns start to test them. The majority of businesses that experiment with them notice a significant click-through rate increase. Run separate call-only campaigns and compare conversion rates. Google recently introduced call-only PPC ads, which only charge you when the prospect clicks the “call” button and is connected to your business. This completely eliminates your website from the equation. When you send traffic to a landing page you are trying to get the prospect to make a purchase, fill out a form and convert into a lead, or call your business. Traditionally you pay for each click that is sent to your landing page and a percentage of that traffic might convert from that point on. The call-only campaigns allow you to just drive phone calls, and if this is your main objective then skip the landing page and run this type of campaign. Imagine if you were trying to drive phone calls to your business and through a traditional PPC campaign you had a 20% conversion rate, meaning that 2 out of every 10 people that clicked on your ads and visited your landing page. If your CPC was $5 this would translate into a $25 per call cost. What if you could run a call-only campaign at $5 per call? This could allow you to generate 5 times more calls for the same cost. If your business is seeking phone calls this type of campaign is a must-run. You can really scale and grow quickly when you use this campaign type to push high targeted call volume. Ensure that your keywords are mobile-specific search terms. Mobile users often have different search intent when using their mobile devices than they do when performing a search on their desktop computers. They are often trying to satisfy an immediate need, rather than just looking for information. Mobile-specific pay per click campaigns need to contain keywords that not only target these immediate-intent keywords, but also send that traffic to a landing page that will allow that need to be satisfied. 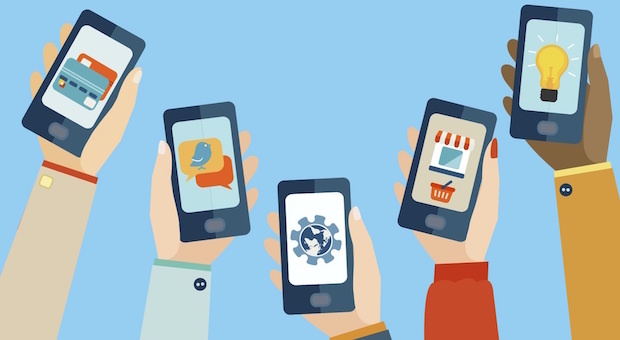 Mobile is all about convenience, so make it as simple as possible for your prospects to engage with your mobile landing pages. For example, if you are offering a free download then you might want to only make one field, the email address, required to complete the offer. The fewer fields that have to be filled out on mobile the higher your conversion rate will be. Don’t just rely on keyword tools to select the terms you target in your mobile PPC campaigns. Step back and think like your customer. What are they going to type into their mobile device when they are searching for the products or service that your business sells? Remember, mobile is all about convenience, so make your mobile experience pleasant and allow your prospects to access your information or complete actions as quickly and effortlessly as possible.